Shina Culberson, President of Quist Valuation, brings +20 years of financial and valuation experience to her leadership and guidance of the firm. Known for her direct style and laser focus, Shina specializes in business and securities valuation engagements. Shina’s passion is working with company owners to help them understand the value drivers of their business and to provide actionable insights in order to improve performance, valuation, and management decision making. Prior to joining Quist, Shina was an Equity Analyst for Cohen Independent Research Group where she provided security valuation and investment recommendations on public companies in the biotech, high-tech, and entertainment industries. Additionally, she served as a Director at Charles Schwab Investment Management where she managed the International Credit Research team covering international financial institutions and emerging market Asia and Latin America sovereign investments. Shina graduated with a bachelor’s degree in Economics from Claremont McKenna College, holds the CFA designation and is a member of the Society of Analysts in Denver. Shina is a member of the Advisory Board for Colorado Thought Leadership Forum. With executive-level experience in both the private and public sectors, Anna is particularly inclined towards fostering partnerships and collaboration among diverse stakeholders. Currently Chief Operations Officer at IMA Financial Group, she leads operational integration, business process optimization and human capital management at one of the largest private insurance brokerages in the US. 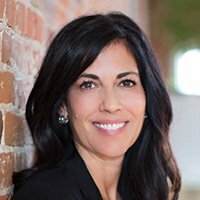 Previously Anna was Chief Operating Officer & Deputy Director of Colorado’s Office of Economic Development, overseeing agency operations, human resources and finance functions and providing cross-divisional leadership on a wide variety of initiatives. 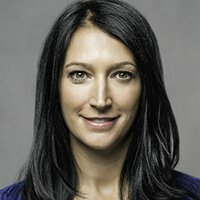 Prior to venturing into state government, she enjoyed a dynamic corporate finance career, most recently as Chief Financial Officer of Vodafone Americas where her responsibilities included leading the organization through Vodafone’s disposal of its 45% interest in Verizon Wireless, a $130B deal. Prior to Vodafone, Anna held progressive strategic & financial positions in several industries following her career start at Price Waterhouse LLP. Anna holds CPA and CGMA licenses and a BBA from Baylor University. An engaged member of the Colorado community, Anna serves as an advisor with the Blackstone Entrepreneurs Network, as chairman of PawsCo, an animal welfare nonprofit, and is actively involved with the Denver Metro Chamber and its Leadership Foundation as a speaker and facilitator. 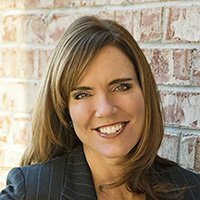 She is a member of multiple business and leadership organizations including the Quarterly Forum, the Association for Corporate Growth, and the Colorado Society of CPAs. Jon Hernandez, a philanthropist and serial entrepreneur with a passion for solving some of the largest healthcare problems, has co-founded and/or invested in 22 companies and supported the development of an additional 10+ organizations in the past two decades. Combined with strong strategic partnerships, these organizations offer a wealth of data, clinical optimization and resources needed to accomplish the optimal Quadruple Aim for our community. 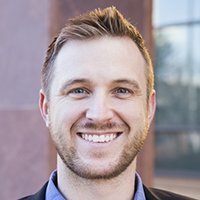 Jon’s dedication to redesigning health and care has lead him to be on the advisory board for 4 separate organizations. Getting his start in the healthcare industry in the early 1990s, Jon co-built an early stage claims clearinghouse based out of Colorado Springs, Colorado. As a software developer and database architect, Jon co-developed some of the original data transfer standards in Electronic Data Interchange (EDI). In more recent years, Jon began to recognize that change was needed in the healthcare space which lead him on a two-year hiatus where he shifted his focus to helping others in the space. Several of which are contributing to changing the healthcare landscape today. The relationships Jon has built over the last 24 years have morphed into a web of dedicated organizations and individuals focused on solving the demands of an industry on the brink of reform and Jon is humbled to be in the like of some of the best in industry. 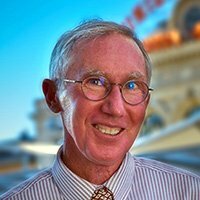 Mike holds a Bachelor of Commerce degree from the University of Melbourne and an MBA from the Australian Graduate School of Management at the University of New South Wales in Sydney Australia. He began his career in the United States in 1990 as the executive director of the University of Kansas Small Business Development Center and adjunct faculty in the business school there before taking the helm of the certified development company located in Lawrence, Kansas, in 1997. 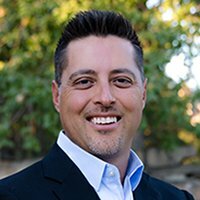 In 2000, the opportunity arose for him to relocate to Colorado and join the nonprofit, mission-based, educational lender, Colorado Lending Source, where he began expanding outreach and capital access to new and existing small business owners across the length and breadth of Colorado. Colorado Lending Source now facilitates small business loans ranging in size from $5,000 up to $5.5 million and regularly partners with more than 52 local bank lenders. During 2017, Colorado Lending Source facilitated 266 new loans to small business owners statewide creating some 1,693 new jobs and injecting $415 million into the U.S. economy. Colorado Lending Source was the most active Small Business Administration (SBA) lender within the state of Colorado in 2017. Allyson Patterson is Managing Director of BEN Colorado and the former Director of Market and Partnership Development at Zayo Group, a Boulder-based Bandwidth Infrastructure provider. 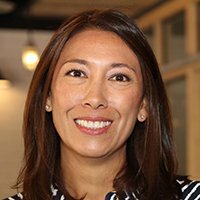 During her time at Zayo, Ally also served as the Director of Community Development, Investor Relations, and Employee Programs, as well as Chief of Staff - External Relations to the CEO. Prior to Zayo, Ally managed operations, sales and trading for foundations, family investment offices, and institutions at Morgan Stanley Private Wealth Management. She is the Events Chair of CU Leeds Women’s Council and active in the entrepreneurial community. She has a B.A. in Economics from the University of Illinois. Christine has over 25 years of experience in finance, operations, strategy and leadership. She has taken that experience and launched a consulting and advising firm that specializes in executive coaching, strategy creation, team alignment and leadership development. Christine has a passion for mission-based business and creating a culture of transparency and alignment that allows a team to do their very best work. Christine spent 16 years at New Belgium Company- the 4th largest craft brewery in the US. She spent 12 of those years in the C-suite as CFO, COO, President and CEO. Christine was responsible for day to day oversight and was a member of the Board of Directors. She participated in and lead mission and strategy work throughout her time as well as leading a team of 10 executives to execute on that strategy. Christine saw New Belgium through expansive growth, growing 10x during her tenure. At the end of 2012, she guided the company through a 2nd Stage ESOP transaction, which resulted in New Belgium becoming a 100% employee-owned company BCORP. Perich also oversaw the construction and integration of the company’s second production facility in Asheville, North Carolina, which was completed in late 2015. Christine considers her greatest accomplishment the creation of the New Belgium health clinic. The clinic provides proactive health care that both serves families more effectively and helps manage medical costs. Health and wellness is a personal passion for Christine, which lead her to WTRMLN WTR (fast-growing high pressure processed hydrating juice brand). During her time at WTRMLN WTR Christine saw the successful launch of 4 new SKU’s as well as major distribution expansion. Christine serves as an independent board member to HealthAde, makers of one of the fastest growing Kombucha brands on the market. During her time on the board the company has expanded its production facility and dramatically increased distribution and overall sales. She is also an advisory board member for GrowCentia. GrowCentia makes organic soil supplements to enhance plant growth and minimize environmental impact. Christine facilitated the co-creation of core values and beliefs for the company as well as strategizing with top leadership on growth plans. Christine received a BS in Business Administration from Colorado State University, where she is a member of the College of Business Global Leadership Counsel.